I'm always on the hunt for great hair products. I love trying new things! It's the only way to find out what's going to work the best! 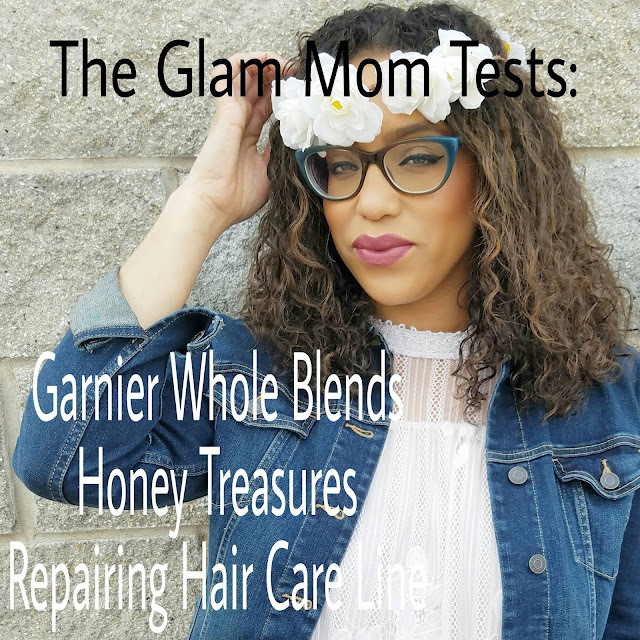 This time, I'm testing out Garnier's Whole Blends Repairing Hair Care line. 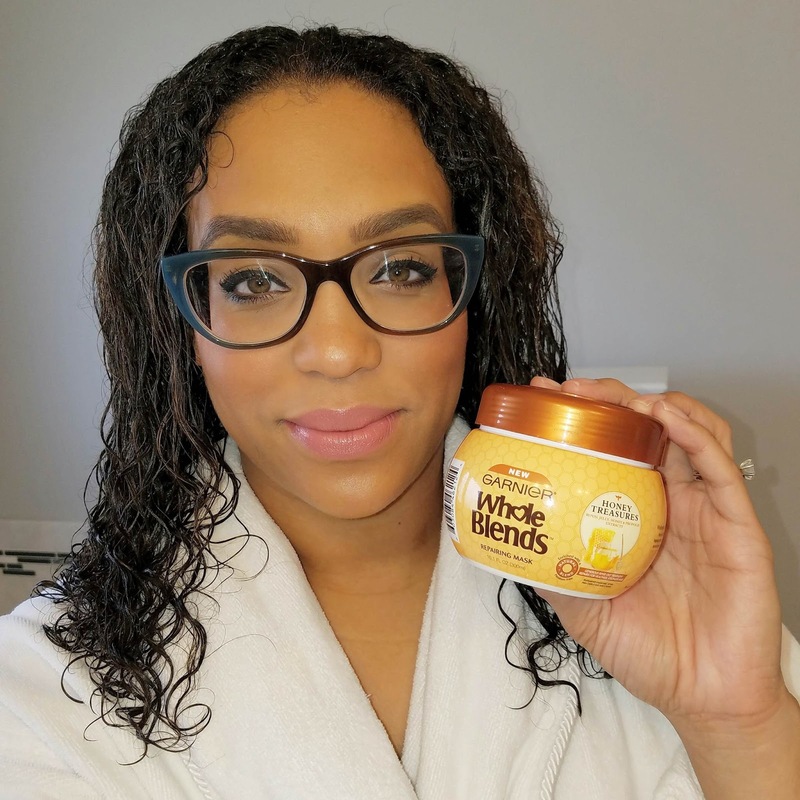 I tried out the Whole Blends Honey Treasures Repairing Shampoo Conditioner and Mask. I purchased these products at my local Walmart. As you can see, the Whole Blends line has several different options (Repairing, Hydrating, Smoothing, Refreshing, Nourishing, Color Care) and Walmart is stocked with each product. 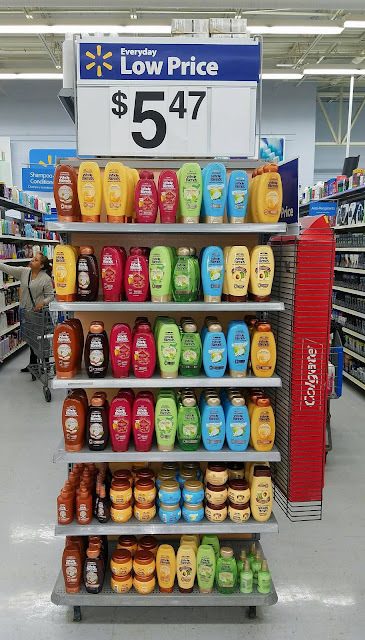 These products were easily found on an end-cap. The Honey Treasures line is supposed to be "nourishing repair for damaged hair," containing royal jelly, honey and propolis. Since summer is coming up, I'll be wearing my natural curls more often. The heat and humidity just causes frizz, so why bother trying to keep it straight? So, I wanted to try these products out to see how they would work on my natural hair. And, since festival season is starting, I figured I'd style it in a fun, boho way! I started by washing my hair with the Whole Blends Honey Treasures Repairing Shampoo. It left my hair feeling clean. It had a nice, thick lather that seemed to wash away the product I had in my hair. I followed with the Whole Blends Honey Treasures Repairing Conditioner. This conditioner worked really well! I always use a generous amount of conditioner out of habit. I probably didn't need as much as I applied. But it left my hair soft and easy to comb through after I rinsed it out. Ordinarily, I would leave a bit of conditioner in my hair, detangle and style with gel at this point. But since the line includes it, I went ahead and tested out the Whole Blends Honey Treasures Repairing Mask. The instructions said to leave it in for 3 minutes. But, my littlest was climbing my bed and I was getting nervous. So instead of waiting to rinse it out, I got out of the shower so I could be closer to him. I ended up leaving it in for about 10 minutes while I did my makeup. I figured it wouldn't hurt to leave it in a little longer than suggested. about 10 minutes and had soaked in by this point. After I finished treating my hair with these 3 products, I detangled with a wide-tooth comb and added a center part, which is something I'm just starting to get into. 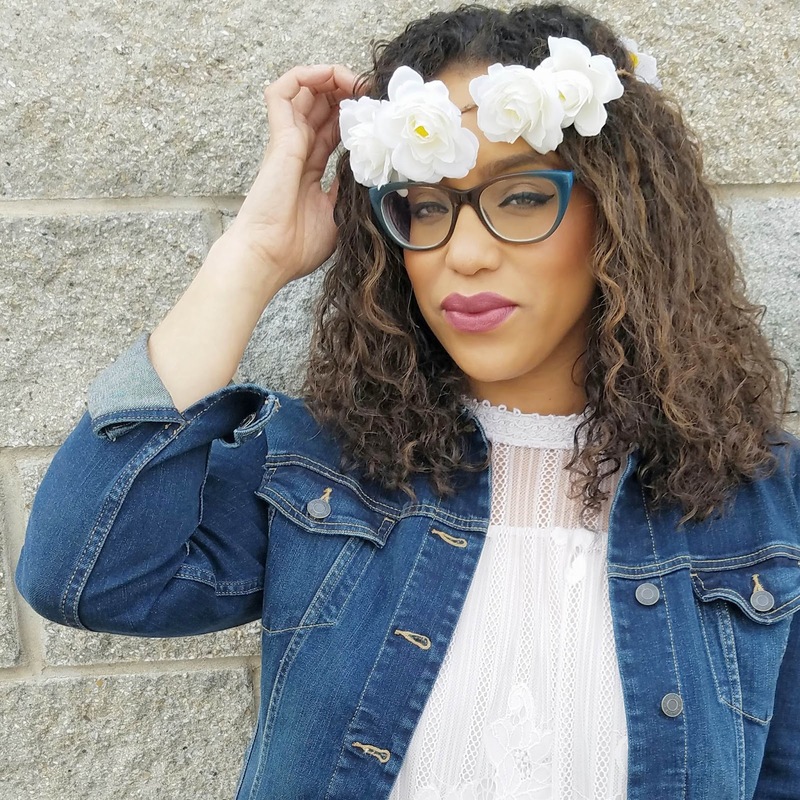 I used Garnier's Curl Sculpt Cream Gel and Curl Scrunch Controlling Gel to control my curls and diffused my hair to save time. Usually I air-dry, but on this particular day I was in a hurry LOL! I bought this headband for a photoshoot I did a few months ago and never wore it again. Festival season is here and Coachella style is being posted everywhere, so I thought this was the perfect time to pull it out! It is tucked under my hair on the right side so it fits better. I also bobby-pinned it on each side to keep it in place. Soft, defined curls with minimal frizz. My husband LOVED my hair this day! He complimented it numerous times when he saw me in the evening. My friend Margarita, who took this photo on our play date, also loved it! So, I guess it came out well! 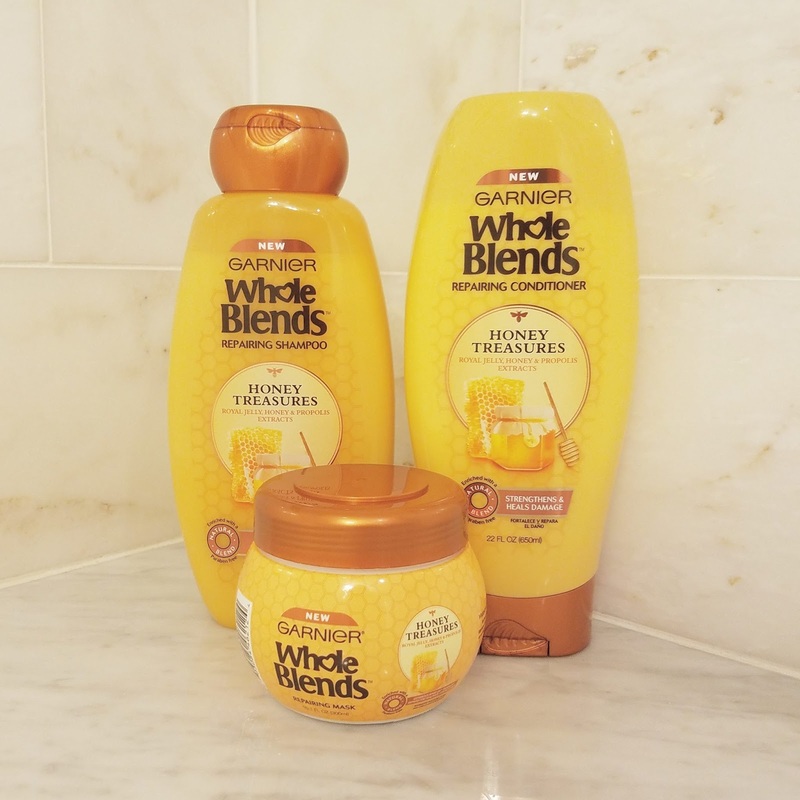 So, overall, what do I think of the new Whole Blends Honey Treasures Repairing Hair Care Line? I LIKE IT!!! The scent is very mild - just a touch of honey, which is nice. The Whole Blends Honey Treasures Repairing Conditioner left my hair soft and easy to detangle. After a little Googling of the ingredient list, I learned that the main ingredients are really natural. And it has no sulfates or silicones, which I know a lot of curly girls like to avoid. So, that's a real bonus! Another bonus, the price is REALLY REASONABLE!!! 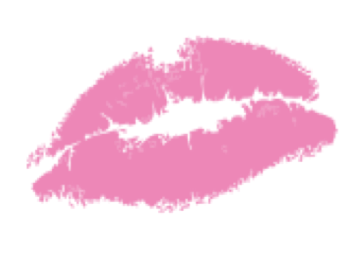 A lot of products I've used lately are in the $10-$15 price range. This range is all between $5-$7. You can check out the entire Garnier Whole Blends Repairing Hair Care line, HERE. Which blend do you want to try? 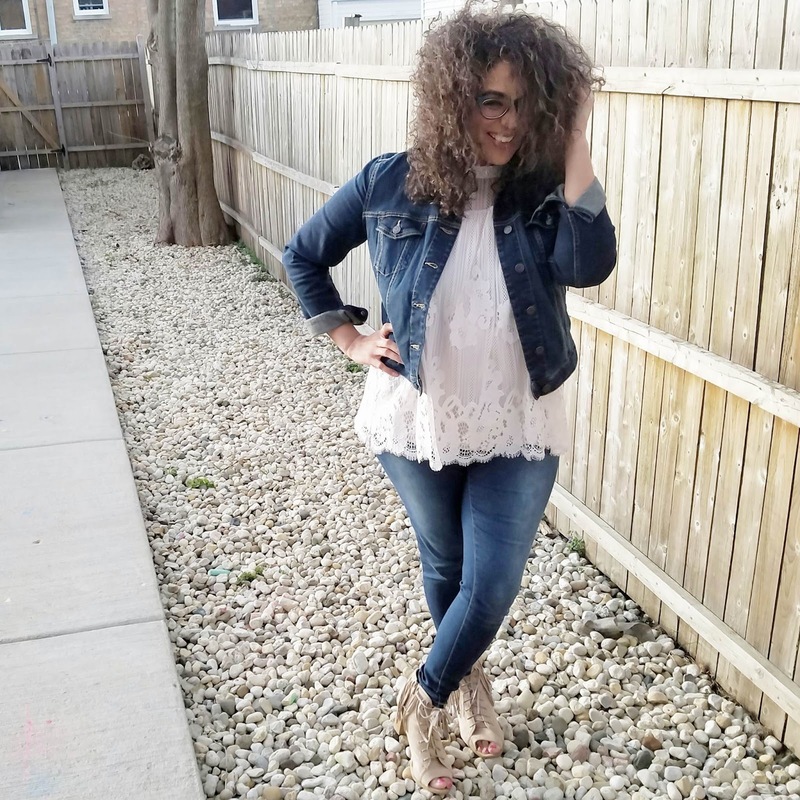 Love this post - I don't have curly hair either, but it does have a lot of wave if I don't flat iron, so maybe I will try! !